The ending of season seven forced us to embark on a new era: one without Mulder, one with two new agents and replacements working alongside Scully, one that left us with questions about his disappearance and with the startling news of Scully's pregnancy. It pretty much dismantled the entire series as we knew it and tried to rebuild against a series imposed deadline. So Mulder is gone, and season eight was another day. When a main character leaves it's hard to welcome the new kid in town. But, my god, I loved John Doggett. 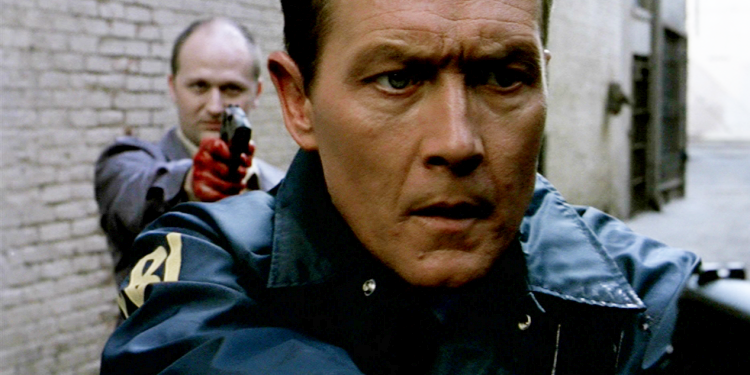 Choosing Robert Patrick as David Duchovny's replacement was perfect. He has to be given credit where it's due - his character comes in at the last second to tag-along with Scully in finding Mulder - two people he had no real prior investment in. He's a career guy without a family, a skeptical city cop, not built or trained to be investigating paranormal / supernatural phenomena. In a lot of ways, he's like Scully; he's assigned to the X-Files to spy on it for Assistant Director Kursh - someone who's oh so happy to have the department gone and out of the FBI. Doggett took over Scully's role as the skeptic, and Scully tried to think more like Mulder. But Doggett respects and likes Scully. 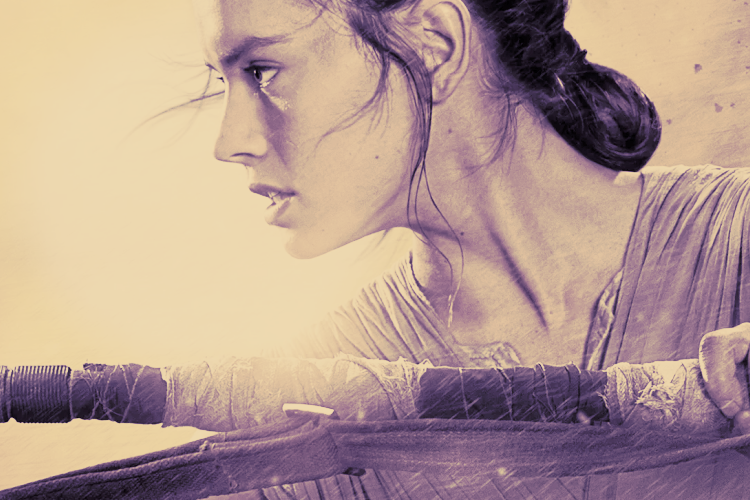 She has the authority and he doesn't try to override or undermine her intelligence. In fact, he's pretty smitten and intrigued by her from beginning. I've divulged before that I am not the biggest shipper between Mulder and Scully. They had seven years of will-they-won't-they tension, but over time it often felt like Scully mothered Mulder, especially his escapades to find the truth that left her answering to Skinner. 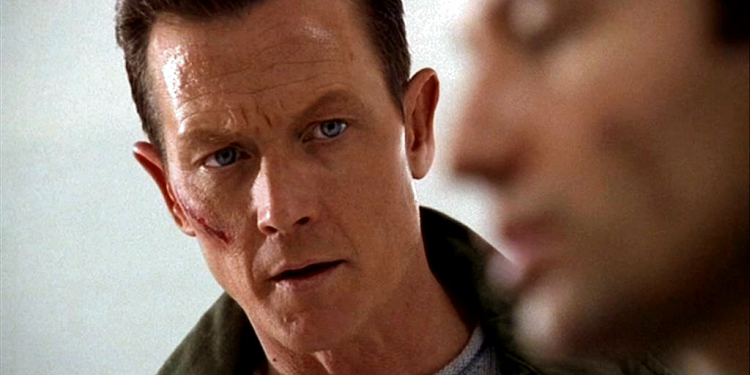 With Doggett, I felt more of a real equal partnership. 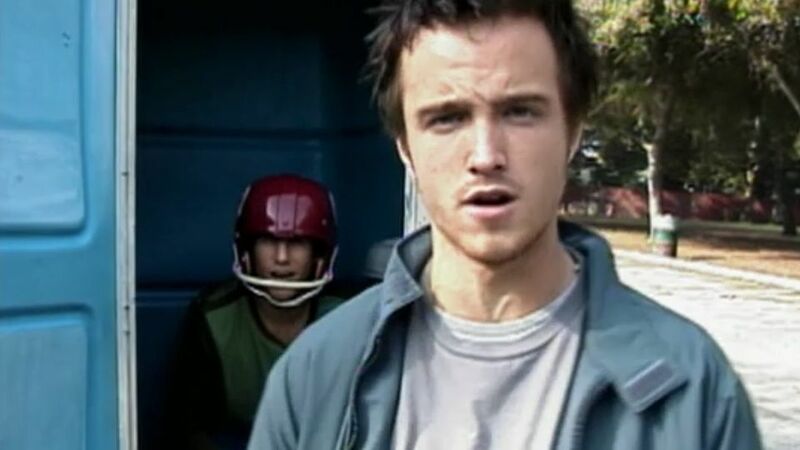 Anderson and Patrick's chemistry is great too, even if they are only given a short time to establish it. Patrick was great at playing the tough city cop exterior with a tarnished past. Instead of Mulder and Scully's genuinely witty banter, Patrick provides an honest sincerity and patience to learning the ropes and maybe gaining Scully's respect as a fellow agent, or something more. Then, later in season eight and more into season nine, another agent Monica Reyes was added to the mix. She became the new Mulder; a believer in possibilities and the unknown. She wasn't as deeply informative about the occult and extraterrestrial but she brought back that 'everything is possible' vibe. Annabeth was great as Reyes, but I didn't feel there was a real need to her character as much as Patrick. Both her and Patrick's induction was more of Carter's attempt that if the series continued there would be new agents to take over; ones we would be familiar with and had the same style as when Duchovny and Anderson started the show. Season Eight doesn't really pick up momentum until the sixth or seventh episode, but it's better than season nine which has zero momentum. The alien mythology is put on hold to create a super soldier / alien-human hybrid angle, and Scully's pregnancy is the core of the arc. Trusting no one, she and Skinner keep her condition a secret. It's understandable; she has to be protected by Cancer Man's henchmen. 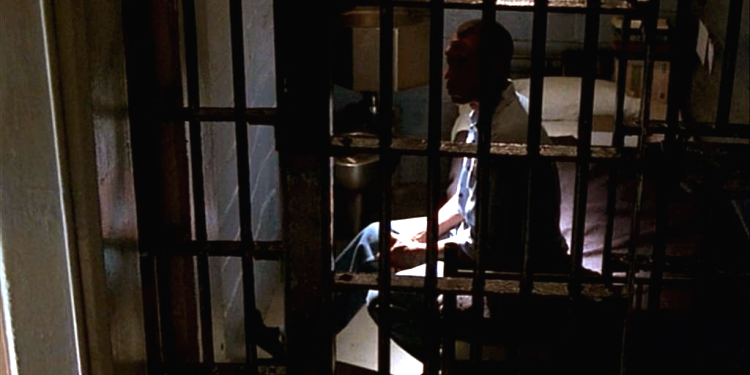 However, this leaves Doggett in the dark a lot, no matter how much he wants to help and protect her. It's great that season eight at least brought Duchovny back for twelve episodes, though his presence feels a lot less than that. And, his entrance brings up some great moments of jealousy from him to Doggett. The trio becomes a good team, also allowing room for Skinner to have a bigger role as their ally too. There's plenty of entertaining episodes in Season 8. Doggett and Scully's partnership, and eventually Reyes, was a decent way to keep the show running. Mistakes and blame can be passed around to Fox and Chris Carter (and in my opinion, Duchovny too) as to why the show was crawling towards the finish line. I'm just grateful that at least we reach the finish line with Season 9. For now, here are my favorites of Season 8. Further down the post are my continuing thoughts on Season 9. Hope you enjoy! Season seven is already a huge cliffhanger. We're left on the edge of our seats about where Mulder is and what is happening to him. Even though Cancer Man is dead, did some of his people abduct him? was it another trick of the master behind the shadows? Well, not really - everything we're led to believe about the aliens come true - Mulder is genuinely abducted. As Scully with Doggett investigate his whereabouts, parts of the episode includes scenes of Mulder being tortured. It's gruesome and only ups the ante of when or if he will come back in one piece, if at all. Also, these episodes feature Doggett's introduction too. There's so many people in the FBI to not trust, and at first we think Doggett might join that long list of double-crossers or shape-shifting aliens. Then his genuine interest in finding Mulder comes to light. He's one of the good guys. AND HE'S AWESOME. Once upon a time Scully questioned Mulder about why he was the only one with a desk in the X-Files' office. Years later she grapples with taking over their cases without him and moving into her partner's place. Assigned to the X-Files, Doggett joins Scully. They dive into their first case investigating a series of murders, in which the culprit may be a bat-like creature. The episode is great because it brings back The Monster of the Week vibe as earlier seasons had. And, it has a wonderful moment when Scully struggles' with Mulders' disappearance. Yes, she places Mulder's name tag into a drawer. It shows how she is juggling her feelings about their future and doesn't want to give up on him. Often Mulder was so overwhelmed by his convictions, he often negated her importance in their office; not allotting Scully her own space or desk in his office despite how much she earned it. But, I think it was a great sign to Doggett too; Scully's paying him the courtesy she didn't feel before. 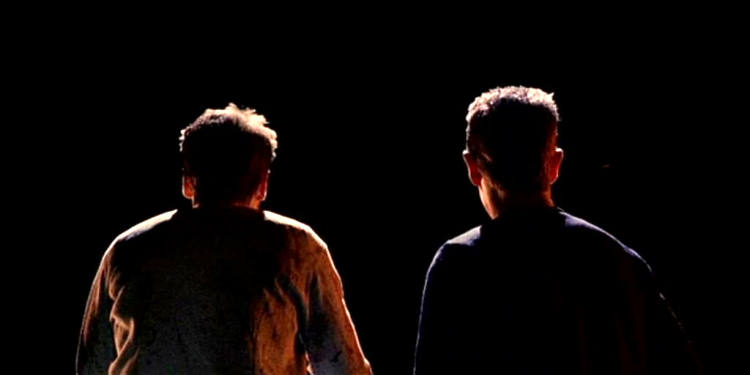 Children become a major storytelling focus for both Scully and Mulder, but Doggett too. With Invocation, a boy who was kidnapped in the 1980s re-appears but hasn't aged in nearly ten years. 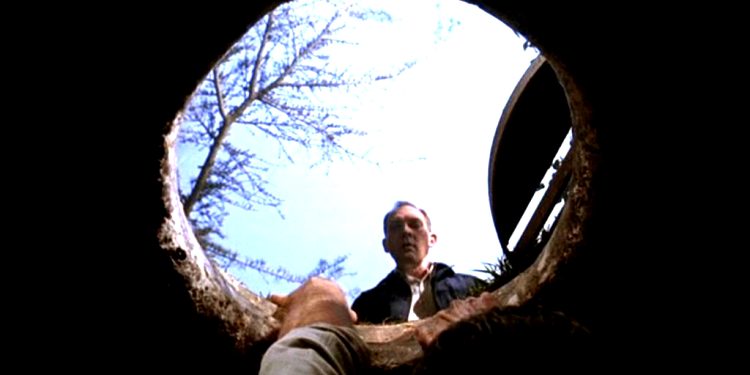 Scully and Doggett have a different way of pinning down a suspect; she begins to believe justice comes from beyond the grave, while Doggett refuses to expect other possibilities. His close-minded nature stems from his son's disappearance and never being able to locate his body or whereabouts. It's a small peek into how and why Doggett's belief system is born; he struggles with not leaving every stone unturned in finding his boy and facing that other forces at work other than human might've taken his son. It's also interesting how his past comes to parallel a heartbreaking decision Scully faces later on concerning her baby. The X-Files really loved to toy with the concept of time, fate, and if we have the power to change our lives if given second chances. In Redrum, Martin Wells is suspect on trial for the murder of his wife. He begins regresses back into time in tiny increments; only given enough of a chance to better understand the identity of his wife's murder and trying to prove his own innocence. The suspension of Well's innocence or guilt is handled with great pacing, that many Monster of the Week or stand-alone episodes struggled to uphold. The slow movements back in time gives Wells enough agency to race against the clock. It's so well-scripted and hard to believe that the episode hardly features any of the main characters. To top off the great acting and writing, Wells, played by Joe Morton is joined by Robert Patrick (both starred in Terminator 2) and Bellamy Young - a fellow Scandal co-star. Doggett becomes the lead investigator in a case centered on a professed soul eater that has ties to Mulder, while Scully takes time off from work to deal with her pregnancy. 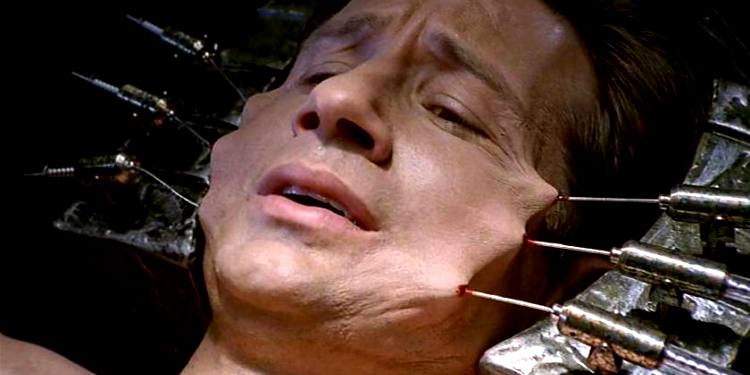 Mulder had been exposed to the alien black oil substance and was forced into a brain operation by Cancer Man. It shouldn't come as a surprise that he didn't suffer any side-effects but it's still a complete curveball to learn that Mulder was slowly dying of a brain disease. The twist comes straight out of Soap Opera 101; he was slowly dying, didn't tell Scully, was preparing for his death and to be buried alongside his mother. Eleventh episodes into the eighth season and finally Mulder comes back into the picture through a series of flashbacks. And, every aspect of the actual soul-eating Doggett endures is absolutely gross. I can't even. Medusa isn't the flashiest or most suspenseful episode. But I like how it throws back to earlier seasons between Mulder and Scully. Similar to Patience, it further establishes Doggett and Scully as new partners, and connects back to Scully and Mulder's relationship in its heyday. 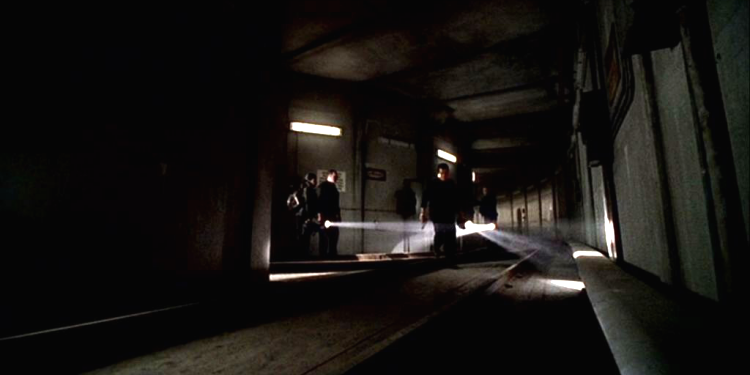 Scully and Doggett team up to investigate a bizarre string of deaths taking place in the Boston Subway tunnel. While Doggett goes underground with a back-up team, Scully is his eyes and ears in the command center warding off the train authorities who want to get the system up and running in time for rush hour. There's a lot of great teamwork and trust build betweenthem. Doggett puts his faith in Scully, and does his darnest not to question why she won't join him underground. My memory is a bit fuzzy but I still don't think he's learned of her pregnancy. Yet they just work together seamlessly, and it's an interesting, fun episode discovering what is lurking underneath the city streets. Only thirteen episodes into the eighth season and finally the show focuses on Scully's pregnancy. It was a bit frustrating but the material finally answers so many questions. A fellow woman and abductee is mysteriously killed when she gives birth to an alien. The husband approaches the X-Files for help, drawing Scully to doubt the future of her pregnancy. 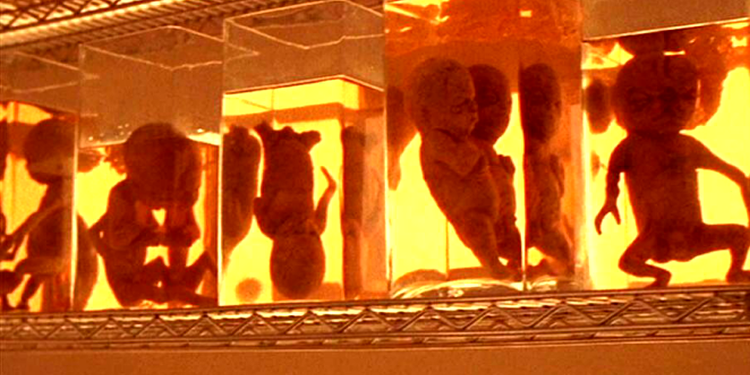 The revelations of how Scully got pregnant, despite evidence that she was infertile, and how Mulder is the father, is told mostly in flashbacks as her. Per Manum closes a lot of circles dealing with the alien-hybrid mythology while also opening more cans of worms. A great deal of paranoia is conspired in Doggett and Scully, and truly raises the emotional stakes of how important Scully's pregnancy. 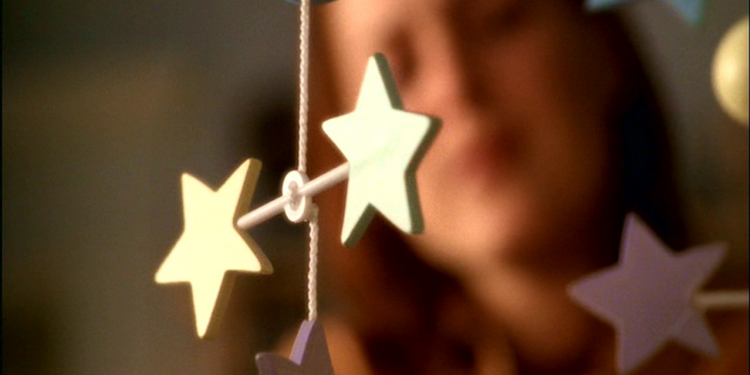 The series always challenged us to doubt who was allies to Scully and Mulder, and now as she is in a more dire situation - not knowing the fate of her unborn baby, tested on her faith that her baby won't be an alien-hybrid - it's difficult to feel confident that everything will turn out okay. Duchovny officially returned in a supporting capacity right after Per Manum, but immediately upon his return, Mulder is back to his crusading ways. Mulder conducts his own investigation when a man is arrested on the White House lawn after trying to tell the president about an alien abduction. It's another episode where the team gets back together but Scully gets left behind (because this time around she's pregnant and can't really get involved). Doggett ends up taking her place trying to secure his safety and protect him, while Mulder acts jealous over his involvement with Scully while he was away. Overall, I really had no idea what was going on this episode, but as usual - Mulder's quest only lays more clues down for future plots. The whole thing made me feel like Doggett was looking at Scully like "This is what you want to put up with". Besides that, it's still a fun episode. Though Mulder is technically back, his re-assignment to the X-Files was denied. But that doesn't stop him from taking matters into his own hands. Doggett investigates a murder on an oil rig, trying to delicately handle the situation which could have major repercussions with the FBI. Vienen is exciting because there's more hostility and tension between the two agents. And once again, it drums up feelings of how much Mulder does his own thing without awareness of others around him. But, his involvement this time around is actually a saving grace: the black oil alien-like substance makes its return. It's not something Doggett is familiar with and he really has to play catch-up with what Mulder and Scully have been dealing with for the past few years. 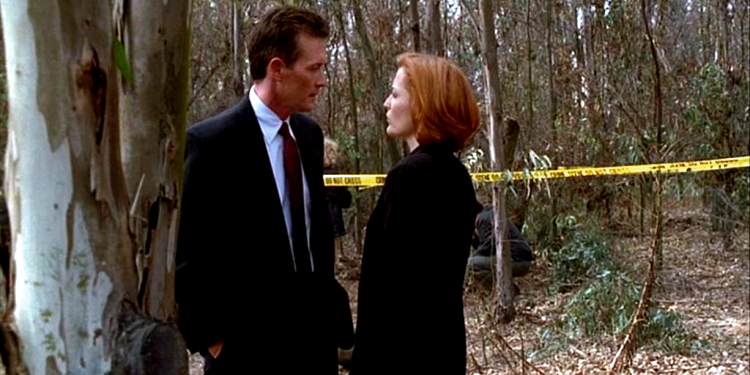 And more to the point, Doggett and Scully's partnership makes Mulder jealous. Scully found real refuge in Doggett's assistance, and he becomes a true friend (although we all know I want something more lol). It's fun to see them try to outwit or outsmart each other; not to impress Scully but just because of the underlying tension they share. While Scully is on maternity leave, Doggett is teamed up with Layla Harrison, a young FBI agent and X-Files enthusiast. While learning a thing or two about his friends, the pair go missing and it's Mulder to the rescue. I really liked Alone, but I wouldn't necessarily characterize it as an Out of Character Episode. It doesn't follow the same humorous and over-the-top style like Bad Blood or Hollywood A.D, but it's the last Monster of the Week episode to feature Duchovny as Mulder. It's really a fun episode with Scully, and moreso Mulder, passing the torch to other characters. The Syndicate's pact with the aliens is taking a disastrous turn, and the hybrids attempt to erase all evidence of the super-soldiers, experiments, and alien-hybrids. This comes at a perfect time because Scully is reaching the end of her miracle pregnancy. Essence and Existence is really a race against time; Doggett, Mulder, and Skinner try to protect Scully as she readies to give birth, struggling to rely on old enemies' aid. These two episodes are so action-packed and suspenseful - all you want is for Scully to be safe, to give birth to her baby (not an alien-hybrid) and for the future to be bright and safe. Even though the whole season it didn't exactly delve into Scully's pregnancy as much as I would like, the stakes have never been higher. Season 8 really goes out with a bang and the reward is the best pay-off - Mulder and Scully finally pining over their bundle of joy together. Season Nine is where the house of cards really begins to topple. The central storyline fades in and out of conflicts - Mulder disappears again to keep himself safe, Scully's son William is showing strange abilities, Doggett and Reyes' respective pasts come to light, and the super soldiers / alien colonization can of worms is reopened. Despite all the content, most of the episodes aren't intriguing or suspenseful; quite frankly, are very forgettable. What keeps the show going is the characters. Doggett and Reyes take over as the new agents. Scully steps in and out of her role as a lead agent from her time as a teacher for Quantico, and assisting them in medical examinations. She becomes their leading ally since the X-Files is still on Deputy Kush's To Be Destroyed list. Skinner, played by Mitch Pilleggi, unfortunately and finally is added to the opening credits just as the show is beginning to end. The cast gels really well without Duchovny, even if there isn't a core conflict that takes their respective friendships to another level. However, the relationship between Doggett and Reyes is propelled fairly quickly. Carter tries to replicate the characters' development but there really isn't potential here. The same atmosphere just isn't the same. By the time season nine rolls around, FOX already knew this was the end but Carter kept his finger in the dam - which wasn't as proactive as he thinks it was. His attempt to keep the wheels turning isn't horrible, but it is weak. You just can't rebuild the seven-year Cancer Man mythology with new characters in one season. Besides a shared history, to me, Reyes/Doggetts' chemistry doesn't match what Doggett and Scully could've had (if Mulder had been completely out of the picture/wasn't abducted/didn't re-appear, etc.). Storylines start to lose the formula of standalone and monster-of-the-week episodes that kept the show's path so exciting and interesting. Instead of being abducted, Mulder leaves of his own accord to keep Scully and William safe, as well as pursue more alien-colonization theories. There isn't a lot of explanation to his leaving and the show doesn't and can't resolve his exit until the very end. It's hard to believe that season seven brought out an average season eight, and the series could've ended there. With season nine, and Mulder leaving again, his departure leaves the show without a pulse. 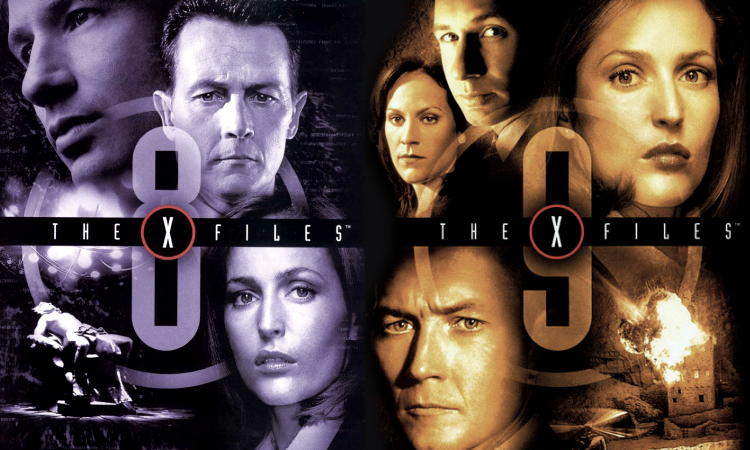 And, like with season eight, Gillian Anderson as Scully isn't given much agency, she seems to be the last one holding the ball between the whole Duchovny/Carter/FOX dispute. What is great about The X-Files is the joy it gave for nearly eight, seasons. The show leaves us on a final note with the ability to revisit the characters and the X-Files. Time and development in our real world through politics and technology gives power to the series to explore new worlds and themes. With the onset of the revival coming up, I'm excited to see if the last remaining questions will be answered, and how many more questions will be posed. The agents face off against a vicious murderer who shoots Doggett and then vanishes. A new assistant director Brad Follmer (Cary Elwes) discovers that Reyes' gun is the murder weapon. In one world Doggett is a healthy free man; in another, he is lying in a hospital bed as Reyes tries to prove her innocence and bring him back to life. Similar to Redrum in season eight (above), parallel universes instead of time is the focus of this episode. Doggett and Reyes' relationship was being taken up a romantic notch or two. Though I didn't see it from a romantic perspective, you really do come out of the other side caring more deeply about them both. A group of teenagers perform dastardly stunts for a local reality show called Dumbass. One of the performances go wrong when a friend is accidentally killed; his head found deflated. A lot of blame is thrown around between the high schoolers until it becomes apparent that the culprit is actually a lord of the flies. There's a lot of funny moments with Scully trying to ward off a creepy botanist, as well as Doggett's peek into a wider world of flies as murderers. For the entire season, there's probably one episode that calls back to the humorous side of the series. And, that's Lord of the Flies. The final season is a short look into how the series could've continued without Mulder and Scully. It's hard to believe that there wasn't a lot of central episodes focused on either one; rather more like episodes trying to fit them into a massive unraveling puzzle. Here Reyes life hangs in the balance after a fatal car accident leaves her nearly lifeless. As the doctors and her family prepare to take her off of life support, Doggett fights for her to come back from limbo. Reyes watches the events unfolding in a purgatory-like atmosphere - where one of the nurses has the ability to communicate to the conscious and unconscious. Audrey Pauley does a great job at centering the episode around Reyes as well as challenging Doggett's belief in the unknown and his efforts to help her come back from the other side. Though I'm not totally on board with the romantic relations between Doggett and Reyes, it was fun to see them develop individually, as professional partners, and then possibility of more. With their hearts on their sleeves and instinctive adventurous nature, The Lone Gunmen are lead into a dangerous trap involving a bio-terrorist's plot. We had only seen the trio intermittently throughout the series. Even if Mulder disappeared, their involvement with the X-Files didn't end - they still popped up to help Scully, Doggett and Reyes. If you watch the series avoiding every spoiler imaginable, one main characters' exit is shocking. 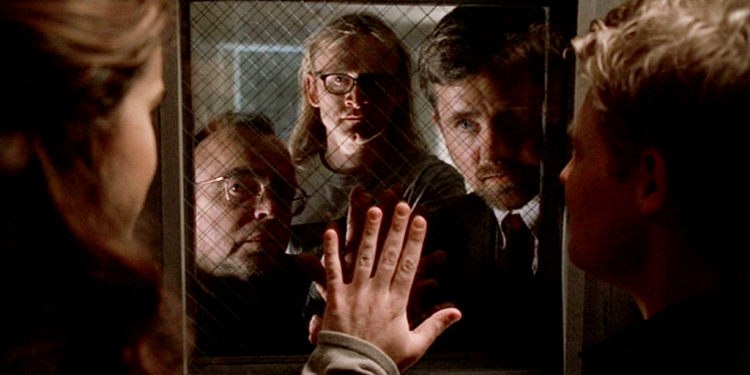 The Lone Gunmen's abrupt as well as fitting demise is triply-so - even if there isn't as much closure as there could've been. On a negative note though, her profession was a central aspect of the show, but also tested her personally and spiritually. As a mother giving up her child for adoption, without Mulder's presence, I felt like lost so much potential avenues to explore - the emotional toll of being infertile, trying to have a baby, discovering she was pregnant while Mulder was abducted, struggling to give birth safely, calls for huge character development. As the final season, there isn't much room to keep this going, and that was quite a shame. Giving amazing performances as Scully, Anderson certainly could've done a great job. After the long wait for Mulder's return, his re-appearance is not wasted. Trailing the last tips he was given about the future of the world versus the aliens, Mulder is caught accidentally killing military personnel - a super soldier whose body disappears. His trial is rigged with a panel of military judges, but Mulder has unwavering faith it will work out. The episode gives us a retrospective of the past nine years with Skinner representing Mulder and witnesses taking to the stand - Scully, Doggett, Reyes, victims of Cancer Man and his henchmen. As the series finale, it's not exactly the best. The episode plays at an unusual time length than normal (an hour and half) and really does feel like a mini-movie. There's plenty of time to pace Mulder's trial as well as the verdict, his ongoing discovery about the alien mythology, and establishing Doggett and Reyes as even better allies. However in usual X-Files fashion, I feel like there is a lot of rushing around. But it feels like there is a lot to be desired. Instead of cementing the series about the alien colonization, there is more to ruminate about the end of the world at 2012 with aliens - where the Mayan calendar concludes. 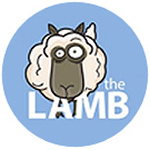 The series ends but it's not over (as we now think - thankfully because of the revival!). What really makes this episode worthwhile is Mulder and Scully's final union. I felt like a lot of Scully's struggle to give their son up for adoption was glossed over, and that could've been a real impetus and interesting dynamic in their relationship. But their quiet declaration of a deeper relationship is beautiful and fitting as it is written. Finally after years of them dancing around each others' feelings and beliefs, they are together. He taught her about the possibilities of faith and science. She taught him how to love. It's out of this world. This is where I stopped watching The X-Files religiously. I couldn't take it without Mulder and Scully together. lol So reading this was a nice refresher. Great post!